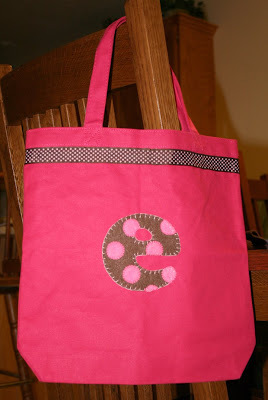 Emma is starting preschool this week and she needed a bag for school. 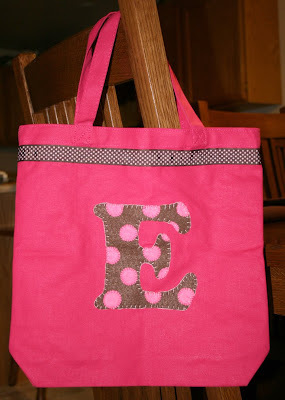 I already had this pink canvas tote and I decided to embellish it with some ribbon and felt to make it special for her. She's been carrying it around since I finished it, so I guess she approves. 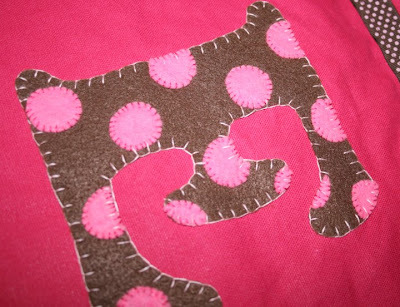 With Emma, you really can't go wrong with pink and polkadots! Once again, you blow my mind! 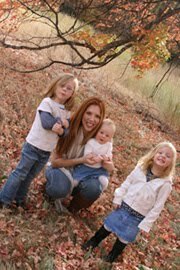 I just want to be a fly on the wall at your house and learn how you do all these adorable things! I just bought my first sewing machine this week ( I don't even know how to use it yet!!!). Wow Aly! You are quite the talent!